The technical problem is the easy part. We spend billions of dollars on health care, new drugs, and advanced diagnostic technology, and millions of uninsured people go without medical treatment. Some regions of the world produce tons more food than local residents can eat, while entire populations go hungry somewhere else. We can fly to Mars but can’t get a bus across town on time. So it is with GNSS, too. The technology is the easy part. After all, the United States figured it out 40 years ago with the research projects that underlay GPS. Then it took the next 25 years before the system became operational — surviving many hair-raising encounters with defense budget pruners while convincing skeptical military services that satellites could work as well or better than maps and compasses or terrestrial radionavigation systems. And that was before Americans — including the executive and legislative branches of government — even knew how to spell GPS. Now the U.S. Department of Defense (DoD) has launched a new initiative to focus its agency-wide effort behind GPS with Directive 4650.05. Meanwhile, no one knows if the president’s $1.2-billion request for GPS in his FY2009 budget will meet the same short-sheeting fate in Congress (or within DoD) as in past years. The president proposes and Congress (along with the executive agencies) disposes. And GPS isn’t alone. 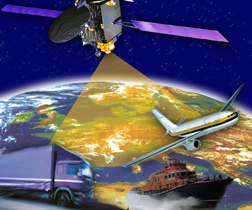 All four major GNSS programs seem to have reached the same passage — not quite an impasse, but a definite narrowing of the political space. Europe has ditched its public-private partnership and is trying to figure who’s calling the shots: the European Commission, the Council, or Parliament; not the GNSS Supervisory Authority but perhaps the European Space Agency, or maybe, at any given moment, any one of the 27 (or is it 30?) member-states of the sponsoring entities. Russia, which in recent years appeared to be executing on its re-sized GLONASS better than any other GNSS program, is now suffering from bickering among high officials over who’s to blame for its lagging performance. And all former president and future prime minister Vladimir Putin asked for was a system that could track his dog. China, whose Compass/Beidou system appeared last year to have the sudden momentum of Obama, now seems to be reflecting on how and how fast to implement its plan. First the region and then the world, or the other way round? Behind the opaque ambivalence undoubtedly lies the same civil-military/commercial-security interests that shape every discussion in every GNSS program. So, yes, technology is the easy part. A million lines of code and a thousand algorithms pass more quickly than a single day’s calculus of politics.